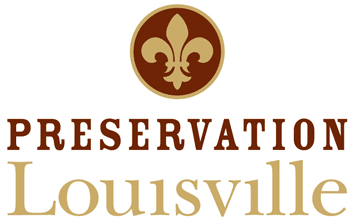 Preservation Louisville has released the names of the community's most endangered historic properties. Colonial Gardens, described as a "dilapidated reminder of the South End's colorful past, historic value and uncertain future." Ouerbacker House, 1633 W. Jefferson Street, ca. 1860-1865. Corner store fronts of retail establishments from antebellum to midcentury were staples of American life as we shopped in the local general store. Roscoe Goose house, 3012 S. Third St., ca. 1900, was occupied by the jockey who rode 91-1 Donerail to victory in the 1913 Kentucky Derby. Lampton Baptist Church, located at 850 S. Fourth Street, was founded in 1866. Doerhorfer house, 422 W. Broadway, was designated a city landmark in 2011. Despite the designation, the 2 1/2 story frame structure remains at risk. Historic Old Clarksville Site in Indiana is where George Rogers Clark built his cabin and mill. It is a key part of Kentuckiana history and must be protected for future generations. Water Co. Block downtown Louisville contains many older structures utilized by the old water company. A mixed use development proposal puts them at risk.